Halki (Chalki) Halki (or Chalki) looks like a part of Rhodes minus the great current of tourism. 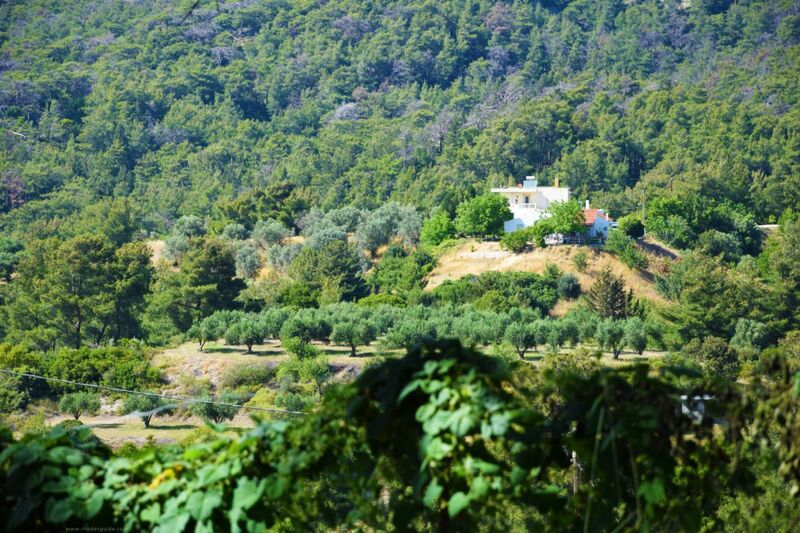 A mountainous island, it is ideal for those who wish for peaceful holidays. 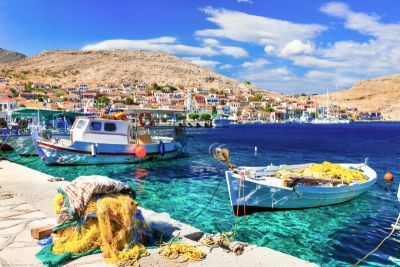 The historical references to Halki are rare. The island has gone through the centuries of history in the shadow of Rhodes and its history can only be deduced in the main only with reference to the history of Rhodes and to the general area of the south eastern Aegean. Look for the derelict but still imposing Italian sanatorium, and the Italian aqueduct above the village. 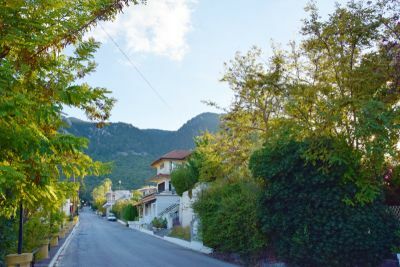 When the fresh air and exercise have worked their magic on your appetite, try the stuffed kolokythoanthi (zucchini flowers) with cheese, the pitaroudia (savvy pancakes made with pumpkin, tomato and onion), or goat meat cooked in red sauce with beans in one of the local restaurants. 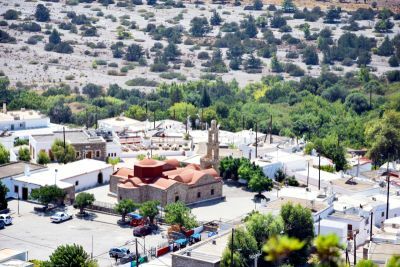 Also locals from the surrounding areas love to flock here for a Sunday lunch, and are happy to even drive all the way from Rhodes town, in particular for the excellent mezédes offered. 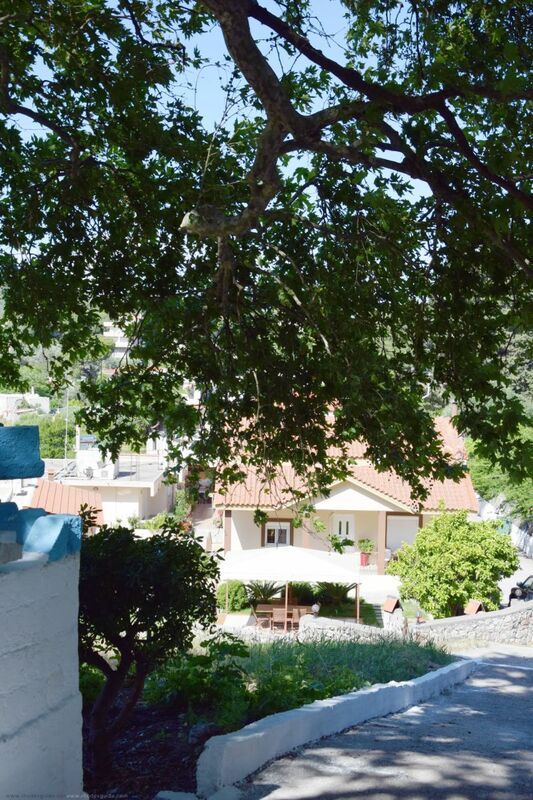 Eleousa is located in the lush foothills of Mount Profitis Elias (Profitis Ilias), where the official guests of Rhodes used to stay. 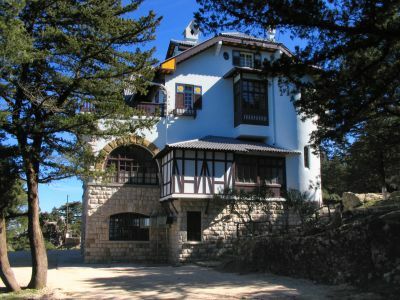 It was built by the Italians (Campochiaro was its original name) and loggers from northern Italy settled there. Their goal was not only the utilization of timber, but also the care of the forest for tourist reasons. The square of Eleousa is surrounded by imposing buildings. The largest of them featuring the arches and the small curved balconies was the market. The prison was right across (now operating as a school). 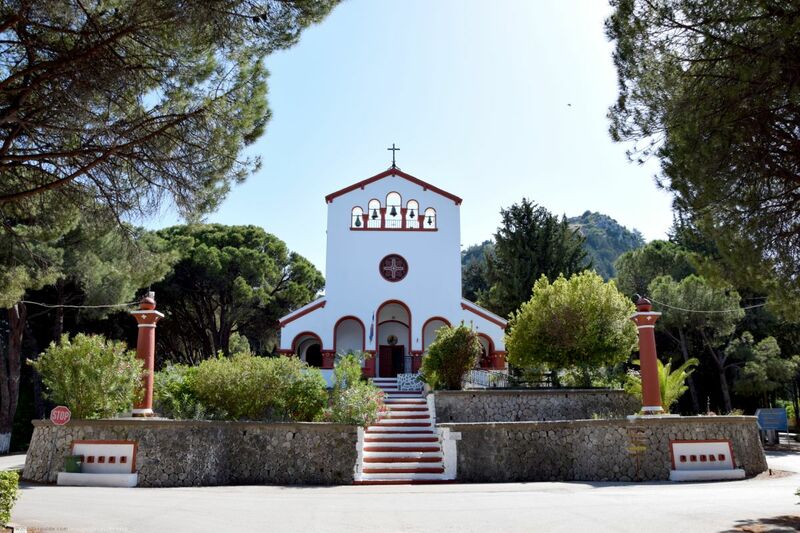 On one end of the square stood the sanatorium and on the other the church of Agios Charalámbos (Saint Charalambos), which was once a Catholic and now is an Orthodox church. 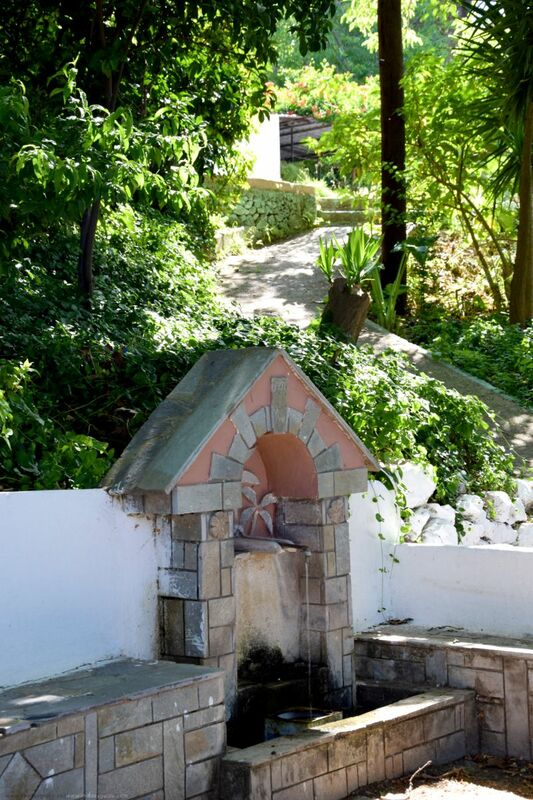 A few hundred meters further from the square of Eleousa there is a large round cistern, filled by the waters of the adjacent Koskinisti spring. It is the home of a quite large population of the extremely rare fresh water Gizáni fish, a local type of fish. This is all that remained of a population that no longer exists, that of the Platy stream. I have found out what eleousa was. It was a sanatorium for the italian soldiers during the first war build in 1912. Even so it was a prison and a police station for the italians. There have been a number of 30.000 italian troups stationed. After the war it's been abandoned. Now you know a litle bit more about Eleousa! This is a really strange place, after some investigation it would seem that the large and decaying building to the right of the plaza was a sanatorium, (Italian built), many rooms are brightly painted, also of note is one room with faded German 'gothic' painted text in two places on one wall. The building to the right of the sanatorium - and facing the monastery - may have been some sort of Italian prison built at the same time, as there is a cell door ripped off and discarded on the floor, this building is also derelict, but locked preventing easy access. Leaving the village heading West there is also a pool with fountain in the same style as the one at kalithea, accoring to a sign there are rare Gizani fish to be found here. Lots of pics available but no clear info to be found.